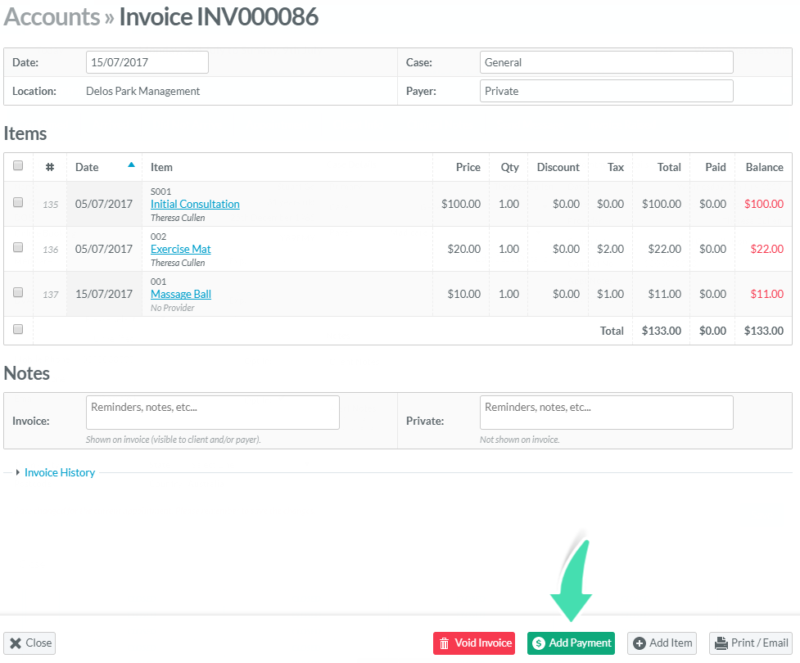 In Nookal, it is easy to record a payment for the total amount of an invoice or for specific items using a single or multiple payment methods. See the steps below on paying off invoices. To find an invoice, see Finding an Existing Invoice. 1. Click Add Payment at the bottom of the invoice. 2. 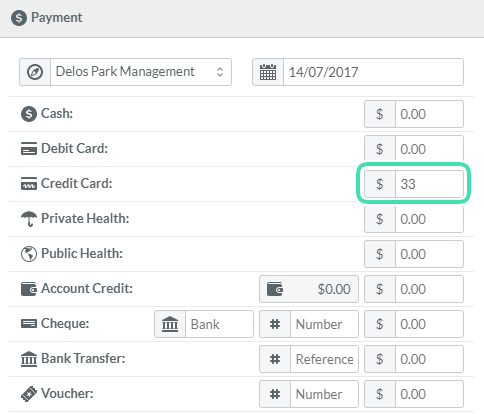 Add the amount received for each Payment Method in the appropriate field. 3. Verify that the amount Remaining is 0.00 if payment is done in full. 4. Click Add Payment, at the bottom of the window. 5. All transactions made are shown below the Items section. 6. To view invoice history, click on Invoice History to expand the section. 1. Select the appropriate items. 2. Click Pay for Item on the right side menu. 3. 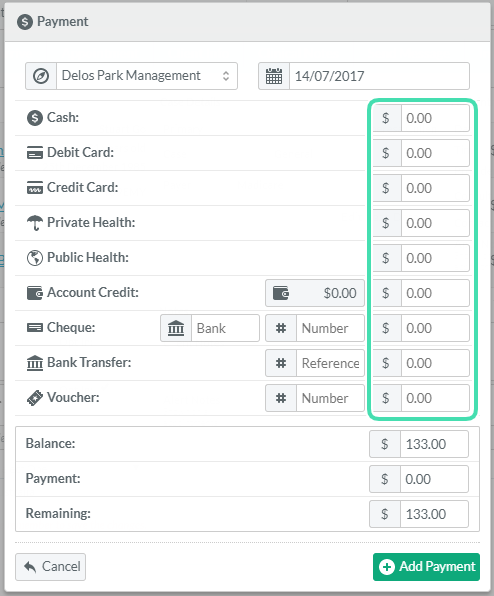 Add the amount received for each Payment Method in the appropriate field. 4. Verify that the amount Remaining is 0.00 if payment is done in full. 5. Click Add Payment, at the bottom of the window. 6. Verify that the transactions and balance are correct on the invoice. 7. To view invoice history, click on Invoice History to expand the section.